I’m making my post summer denim debut to all of you with 3 different styles and washes worth obsessing over. Denim is always a go-to, because you can easily mix and match all the pieces already in you closet. 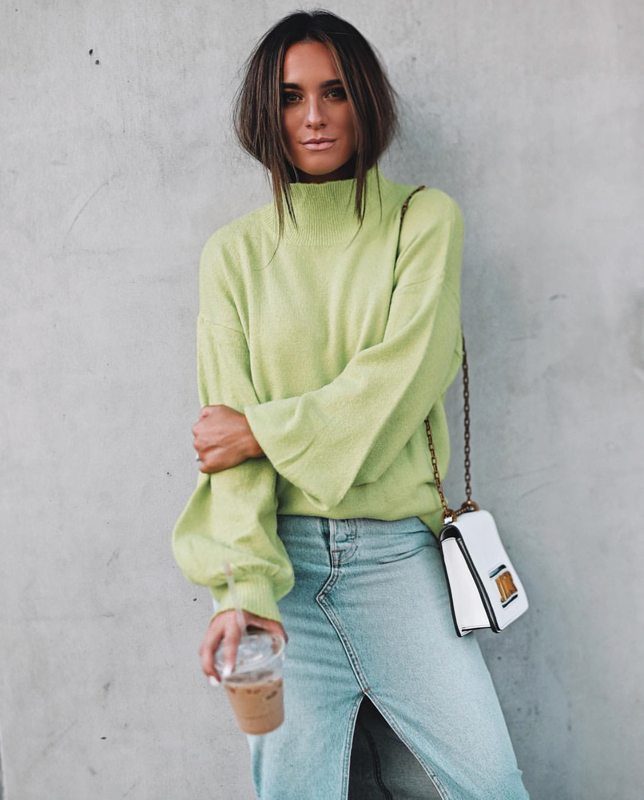 Although I definitely love a good ripped jean, the boyfriend cut, and a mom fit — I wanted to dedicate this blog post to some of the styles you don’t click on right away when adding items to your cart. 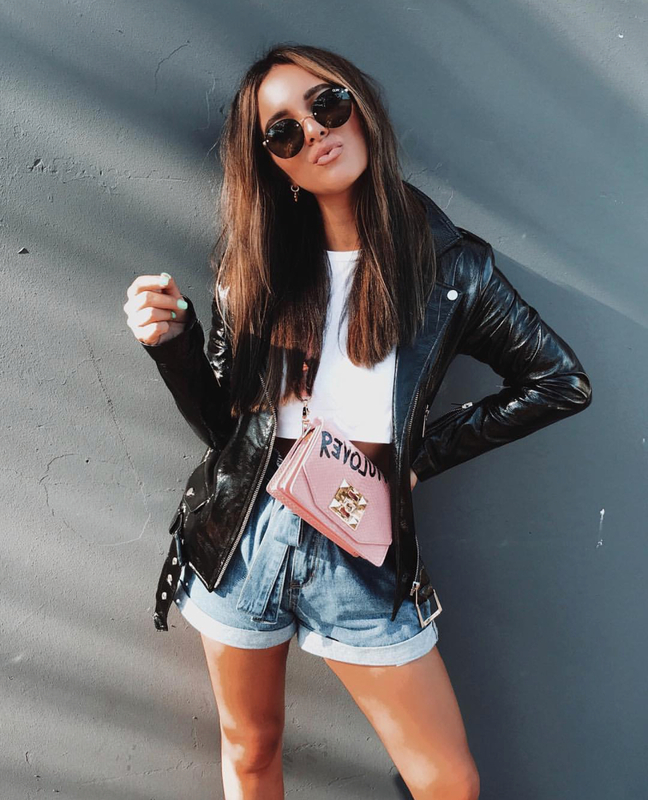 These items are a bit on the retro side and definitely trendy pieces. However, they can quickly become a “never let go” item in your closet– I’ve definitely fallen in love with them. An ankle length maxi denim skirt is a piece that we probably haven’t seen since the early 90s. We’ve seen maxis on window displays from boutiques, to department stores, and even on brand named websites. 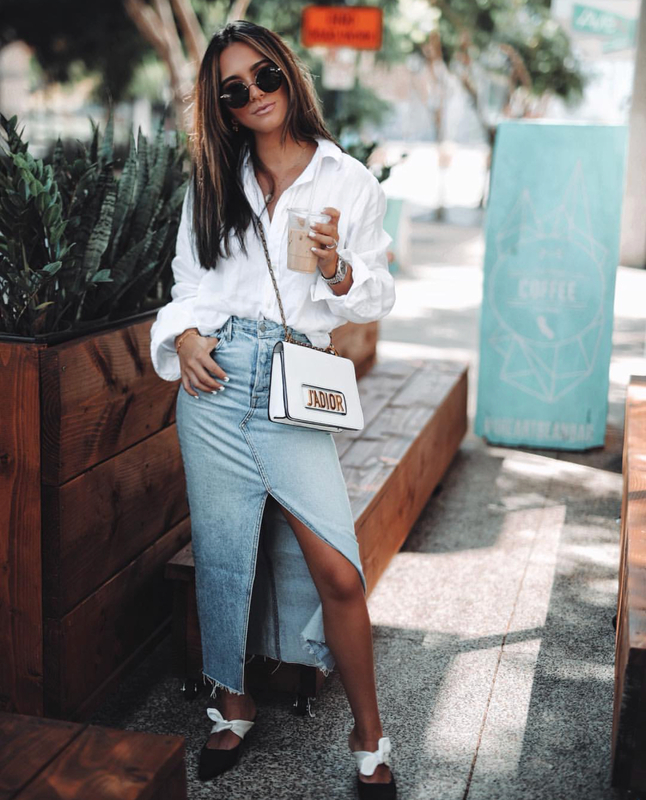 Some fellow bloggers have been crazing on two-pieced sets with maxi skirt bottoms which sparked my curiosity when ordering this ankle length denim skirt on Revolve. It is a head-turner like no other, and a great transitional piece into fall. It is extremely flattering to most body types and a comfortable alternative to a mini denim skirt. Although it may be on the heavier side, the extra fabric is worth the overall look. Another denim fav at the moment are distressed denim bermudas. There bottoms fit almost as if you were wearing skinny jeans, but cut above the knee without them riding up. They’re a super easy alternative when thinking of upping your shorts’ game to a little something more chic. This cut has been around forever and has not left, however, it’s a trend that will skyrocket in the next couple of months. The trick is finding a breathable pair of shorts you know you’ll want to live in. Last, but not least, the tie front denim. I love this pair because it has a few things going on — a folded hem, a high waisted fit, a ruffle detail, and a lighter than usual wash. I’ve been loving tie-fronts for the past month, however I’m still looking for the perfect tie-front denim mini skirt. I saw one from Zara a couple of weeks ago that had the illusion of a denim jacket being tied at the front, but when I returned it was no longer in stock (legit heartbreak). So I’m still on the hunt for something similar, but shorts with a front tie are also very flattering to any body type. Trust your taste gals.